While my recent posts on sequence of returns risk during drawdown and bond to equity volatility vs returns are still fresh in our minds let’s return to our retiree's who are another drawdown year on having now been in wealth drawdown for 8.5 years. Our retiree’s are drawing down at the stated withdrawal rate plus fund expenses only. This means any trading commissions, wrapper fees (eg ISA, SIPP fees), buy/sell spreads and taxes have to be paid out of the earnings taken. For example, our 2% initial withdrawal rate retiree's are actually drawing down at between 2.10% and 2.21% dependent on the asset allocation selected. All calculations are in real (inflation adjusted) terms meaning that a £ in 2006 is equal to a £ today. 6 Simple UK equity / UK bond portfolios are simulated for our retiree's. The UK equities portion is always the FTSE 100 where as mentioned above the iShares FTSE 100 ETF (ISF) is used as the proxy. For the bonds portion a simulation is run against UK gilts (FTSE Actuaries Government Securities UK Gilts All Stock Index) where the iShares FTSE UK All Stocks Gilt ETF (IGLT) is used as the proxy and the bond type I prefer in my own portfolio, UK index linked gilts (Barclays UK Government Inflation-Linked Bond Index), where the iShares Barclays £ Index-Linked Gilts ETF (INXG) is used as the proxy. The wealth accrued at retirement (the 31 December 2006) is £100,000. To simulate a larger or smaller amount of wealth just multiple by a constant. For example if you want our retiree’s to have £600,000 just multiply all the subsequent pound values by 6.
the 4% rule doesn't consider fees where I'm capturing the OCF's of the ETF's which makes my withdrawal rate very slightly higher. Our 4% withdrawal rate retiree's, meaning annual real (inflation adjusted) withdrawals of £4,000, are I would say now close to or in some trouble. Last year, after 7.5 years of retirement, between 14% and 25% value had already been lost. Step forward a year and the portfolios that contained non-index linked gilts have continued to worsen with the worst case now down 28%. Best case has seen some recovery from last year to 10% of wealth lost. The “UK version of the 4% rule” is down between 17% and 23%. Are we going to see some long term failures? Of course my crystal ball is broken and only time will tell but it’s not looking good so far. A 3% withdrawal rate after the OCF's of the ETF's is very close to Wade Pfau’s research which for a UK investor with 50% UK stocks and 50% UK bonds showed that historically a safe withdrawal rate to not extinguish your wealth in a 30 year period was 3.05%. This should be a very conservative drawdown rate which requires a lot of wealth to support. For example if you desire £20,000 of drawdown per annum then you’re going to need a cool £1,000,000. It’s even more conservative than the 2.5% withdrawal rate that I've settled on and I'm trying to give myself the option of a very long retirement. A year ago our 2% withdrawal retiree's had seen their real wealth change by between a positive 4% and depletion of 6%. This year the spread has again widened to between a positive 11% and depletion of 8%. that blindly following any mechanical safe withdrawal method could be a dangerous hobby. I guess it might be not such a good plan to base a 30 yr drawdown strategy on just the UK market (unless I have misunderstood). As an example, the widely diversified Vanguard Lifestrategy 60 fund has provided an annual return of just over 8% p.a since inception (June 2011) so using such a fund, you could comfortable take your 4% and build a nice cushion at the same time. Personally, I think a SWR of 2.5% is overly cautious and may lead to working longer, saving harder than is actually necessary. You've understood correctly and I agree it is a simplistic example but I'm going to stick with it as it's certainly providing me with benefit given I'm not yet drawing from my own portfolio. I do agree with you on the diversification though and my own portfolio is as you know far more diversified. I'm a bit wary of your 8% pa comparison since mid 2011 comparison though as there is no bear market in that where I've picked my start point to ensure a severe bear. Since the start of 2011 (so not a direct comparison but a quick one) the 6 portfolios presented here would have seen a nominal CAGR figure of between 4.3% and 7.6%. The 50% and 75% equity variants, which are the closest I have to your example, would have provided CAGR's of 5.7% and 7.6% assuming no inflation correction and no drawdown. Only time will tell if 2.5% (more like 2.75% before expenses) is too cautious. It will help me sleep well so I think it's worth it. I do agree though that this work, the Pfau work and really understanding the theory behind the 4% rule have made me more cautious than many of the PF bloggers out there. I agree the 8% figure is high based on 4 relatively good years. Maybe 6% longer term would be nearer the mark, then factor in a figure for platform costs and fund fees - maybe 0.4% and also inflation so getting down to ~4% - 4.5% depending on the level of equities exposure. Say your target retirement figure was £25,000 p.a. you would need to save £1m to generate this at 2.5% but just under £600K at 4.25%. Generating that extra £400K must surely mean quite a few extra years at work? "Say your target retirement figure was £25,000 p.a. you would need to save £1m to generate this at 2.5% but just under £600K at 4.25%. Generating that extra £400K must surely mean quite a few extra years at work?" - I'm possibly a little unique retiring at say 43 years of age meaning I'll likely need my wealth to support me for a lot more than the typical 30 years used in all the SWR published work. As the duration increases risk of a poor sequence of returns increases. - I have no final salary nor inheritance options open to me. Get it wrong and I'll be on the State Pension which I'll continue to contribute to for quite a lot of my early retirement as it's the only back-up plan available to me at the moment. - I have age on my side. Even retiring at 43 I could be in retirement for >50% of my life. So my age is both a blessing and a curse. I do not question your personal choice of SWR - each person will make the most appropriate decision based on their circumstances - as you say, for you, length of retirement is a bigger factor than for most retirees. So in general, the assumptions we make for the SWR % is a big factor - set it too high and we risk running out of money too soon - set it too low and we end up working in a job you're not happy with for longer than necessary. I didn't take it as questioning but just some healthy discussion which we've been having for a number of years now. Your thoughts have always taught me a lot, always make me think and reinforce why I have this blog - a forum for new information that can then encourage us all to do further research about what's right for each of us. I often read the MSE forums. People there routinely chatter about investing capital that "should" return 5% p.a. or that "should" let them withdraw 5% p.a. What they mean by "should" God alone knows. One of the regular commenters there has asked for a definition, to no effect. When the next market crash hits, there are going to be even more moaning minnies there than usual. My target for retirement is 1 million investment in property and 1 million in stocks, nothing in fix income for the initial decades. Plus own property to live on it. The average return on the long term looks to me like 5% + inflation, without costs and taxes will be around 3% that is enough for a family of four to live comfortably in a cheap country. I have never read a single post to that effect on MSE, you must read more widely than I do! At a 5% withdrawal rate the 6 portfolios would have lost real wealth of between 21% and 38% by now. I'd be panicking if I was down 38% while knowing I have 20 odd years of potential life left in me. Thx for this in spiring and educational exercise. I believe more peopel should do the same, just to geta feel of the work, impact, risks of living of a portfolio. On the other hand, reading it from others is a good proxy. The fact that you take a simulation starting near a top, is a good idea. It raises the question: how to mitigate the sequence of returns risk. 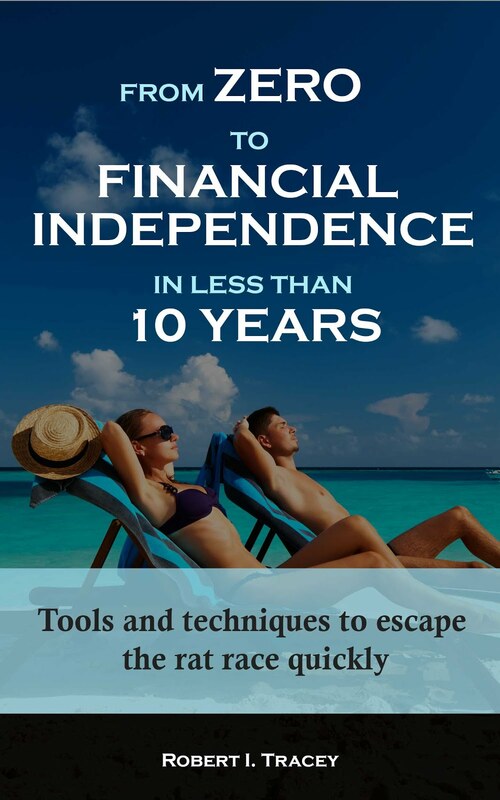 Ideally, the retiree has 3 years of cash to avoid to live of the portfolio during a severe drawdown. Or you should only start early retirement after a bear markt...but this is harder to time of course! Did you take state pension into account at all? If you add this to your income from 68 does it influence your ultrasafe withdrawal rate, or do you like to assume that there will be no state pension for those that work hard to save enough? In all my planning I do not consider the State Pension. Given governments desire to continually tinker and the state of the public finances I think the date will be continually pushed out and/or it will eventually be means tested making me ineligible. Any State Pension will therefore be a bonus on top of an already 'hopefully safe' strategy. That said I am planning to continue to contribute to NI voluntarily in early retirement as a back up plan to a very poor sequence of returns (ie it all goes wrong). So national Insurance will really be RIT insurance. Very wise. RIT- you seem to like painting yourself a scenario that is as gloomy as possible - eg you omit the State Pension in your calculation - as if you want to scare yourself into making very cautious plans for your long term finances. One point that you do not make is that you can always change your SWR - it is not fixed in stone forever at the initial SWR when you start " taking " drawdown . You have also chosen a particularly significant date for the start of your graphs - June 2008. You graphs illustrate well the effects of different SWR's - but what about the effect of different start days - as you must admit - anyone who did start drawdown mid 2008 was particularly unlucky . What about choosing at least one of the SWR's and showing the effect of different start dates ? eg June 2007/6/5/4/3/2 and 2001. The resulting charts would include a bear market but it would illustrate the difference in portfolio returns that result depending on how long before a bear market you choose your drawdown start date . I am assuming that it does make a difference ! - maybe it is not as significant effect as I am expecting ? Hi stringvest and great to hear from you. It's been a little while. You are right that I'm quite conservative/gloomy with a lot of my studies and assumptions - definitely a glass half empty person. I think deep down this partly comes from my career which forces me to manage risk very carefully as an event has very serious consequences. It will be interesting to see whether time, once I've entered early retirement, will change my attitude to risk. This then also shows up in for example my response to John above. You are right that the date was deliberately chosen to have a poor sequence of returns early on. I like your idea for different start dates. I'll try and remember to do that as a new chart next time. In the mean time I can demonstrate just how much of a difference it can make by referring you back to my SWR Thoughts post from the 05 April which even though it used US data shows how significant it can be. The simulation I ran was for a 60% Equities/40% Bonds, $1M in wealth, inflation adjusted $25k drawdown (so 2.5%), 0.25% expenses and a 40 year horizon. Worst case (what I'm trying to plan around and show here) showed wealth depleting to $0.883M so even though below $1M a 100% success rate. However at the other end best case was final wealth of $10.6M! Even the median was $2.4M. Definitely sobering stuff, although like stringvest mentioned, some pretty unlucky timing starting to drawdown just before the crisis. I suppose the point being, that could be possible, even though more unlikely than not. Better to have prudence built into your savings and see your portfolio grow even as you drawdown on it, rather than being too optimistic and see it fritter away. I bobble around between 4% would be fine, and if need be I could cut back on spending or get a part time job and 2.5%-3% would be much safer. I will just keep saving as much as I can for now. Although your recent comment about raising income to bring the date of FI forward did get me thinking. This post is post budget and post 3.5 hour trading suspension on NYSE . RIT - I think it is unlikely that your attitude to risk will soften post-retirement - in fact I predict it is likely to be heightened. It may well be that your area of work has attracted you partly due to your attitude to risk - and what you feel you can contribute to a career where risk assessment is so relevant. 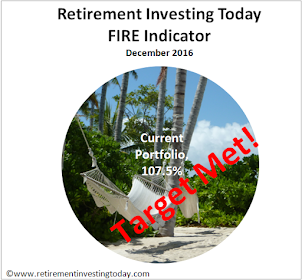 Prior to FI and retirement you always have the option of " working a bit longer " just to be on the safe side. Once you have taken the plunge - you are likely to see having to return to work as a bit of a failure - although this will always remain an option open to you. Attitude to risk is very personal- and we may be quite unaware of what our own attitude really is . We may think we are relatively carefree - but may in fact be harbouring very conservative attitudes to risk . It is not what you say - it is what you actually do . A clue to looking at this question as it applies to yourself : Do you smoke / drink/ eat unhealthy foods / take too little exercise / ignore potentially serious health problems / drive your car too fast on occasions or drive when you have consumed alcohol / participate in so -called dangerous sports which include on-piste skiing / ride your bike without a helmet --- etc etc etc. It is human to take risks - life would be very dull without them - but there can be significant differences between our attitude to risk relating to our health and dying - as compared to our attitude to losing money . This might be something that we should all be a bit clearer about - and the effects it has on us.